The awards season death race is nearing its conclusion as the Academy announced the nominees for the 91st annual Oscars. The results are a mixed bag; some genuinely surprising, others inexplicable. Making sense of it all – here are your winners and losers. Leading the way in nominations is Yorgos Lanthimos’ The Favourite and Alfonso Cuaron’s Roma with 10 nods apiece. This was expected for Roma – a film that has garnered near-universal acclaim from critics, made by a director who has been (deservedly) recognized by The Academy in the past, however, this has not been the case for Yorgos Lanthimos. The Greek director has become a divisive figure in cinema known for his provocative unconventional work. As one of the most unique figures working today, it is a pleasant surprise to see him get mass recognition for one of the best films of the year. Where Queens Anne (Olivia Colman) and of my heart (Emma Stone) both received nominations for their work in The Favourite, the former Queens Elizabeth & Victoria (Claire Foy and Emily Blunt) failed to secure nominations for their roles in First Man (more on that below) and Mary Poppins: Returns respectively. Both could have also been included for their work in Unsane and A Quiet Place as well but alas that was not to be. Blunt will, however, be present at February’s ceremony to perform “The Place Where Lost Things Go” if only just to lose to Lady Gaga for “Shallow”. Regardless she is one of the most likeable actresses out there and one half of the best celebrity couples out there so even though she may not win an Oscar (yet) she wins at life. Two years ago, the Oscars featured Damien Chazelle and Barry Jenkins – two up and coming directors – in a back and forth duel for supremacy. Ultimately Chazelle’s La La Land won the battle securing him the youngest ever Best Director win but Jenkins famously won the war with Moonlight taking Best Picture at the literal last possible second. Flash forward two years later and these two are noticeably absent despite producing films that were both well received. Chazelle’s First Man got shut out of the major categories only scoring in the technical categories (Visual Effects, Production Design, Sound Mixing / Editing) whilst Jenkins’ If Beale Street Could Talk sees itself out of Best Picture contention (scoring for Adapted Screenplay, Score and Supporting Actress – Regina King). This is undoubtedly a disappointment for both films expected to do much better. Both miss on directing nods as well as Best Picture and Justin Hurwitz’s score for First Man is one of the more notable exclusions of the day. Streaming is a force. This is an inevitable evolution of how people consume movies and with 10 nominations for Roma Netflix takes a huge step in asserting legitimacy in the industry that has shown to be slow in embracing evolution. Beyond Roma however, Netflix has had a fantastic year overall with standouts like Shirkers and Private Life to its credit. What streaming has allowed is for projects that would be deemed too risky by traditional studios to find life opening the doors to new voices, new stories and fresh ideas to come to the forefront. The future is now. A long-running joke was which would happen first – an Oscar (of the non-honorary variety) for Spike Lee or a championship for his beloved New York Knicks. Today Spike Lee received his first (!!!) ever directing nomination for Blackkklansman, a fact made even more ludicrous when you consider Lee’s illustrious resume that includes films like Do The Right Thing and 25th Hour. A longtime outspoken critic of The Academy and Hollywood in general, Lee’s nomination may point to the initiatives taken in recent years to expand the diversity of the voting pool or it just might be another case of The Academy’s tendency to reward directors late into their careers as a symbolic recognition of their whole filmographies rather than one individual film. This was the case for Guillermo Del Toro last year, Martin Scorsese before him (who didn’t win till 07 with The Departed) and Steven Spielberg before that (miraculously unrecognized until 94 with Schindler’s List). Lee’s win is far from a lock but I like his chances far more than the pitiful Knicks. 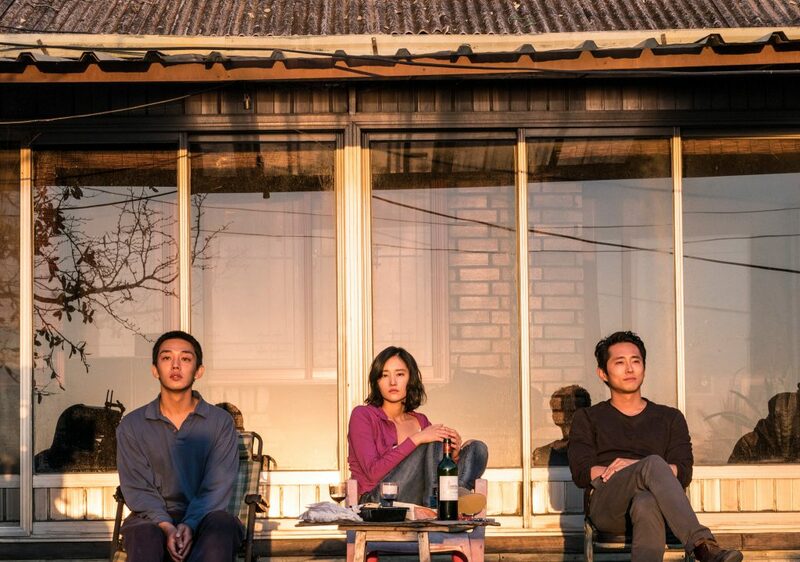 Speaking of Lees, Lee Chang-Dong’s Burning was robbed of a Best Foreign Language Film nomination (in favor of Never Look Away?????). South Korea has never been recognized by The Academy despite becoming one of the best international hubs of cinema since the turn of the millennium however you should not make the same mistake as The Academy. Seek out Burning ASAP and while you’re there pour one out for Steve Yeun who also got snubbed today. 2018 saw Lynne Ramsey, Debra Granik, Chloe Zhao, Tamara Jenkins among many others direct critically acclaimed films (many more so than some films that were selected for Best Picture). None of them got nominated today. Another long overdue first time nominee is Paul Schrader who gets nominated today for his film First Reformed in Best Original Screenplay. I am of the camp that the film should have also received a Best Picture nod but simply acknowledging the man who wrote Raging Bull and Taxi Driver is a step in the right direction. Hoping to follow in the footsteps of last year’s Lady Bird, Bo Burnham and his modern coming of age tale Eighth Grade missed out on any nominations. Featured on many Best of lists (including our own) its absence from the screenplay category is particularly surprising. However the coming of age genre is a tough one to find broad appeal in because it is so often tied to one’s personal relatability to the subject in question. Lady Bird & fellow coming of age nominee Juno benefitted by broadening that scope with an added layer of adult / motherhood perspectives but to ask a voting pool of primary older males to relate to an eighth grader in the modern era is not likely a fruitful venture hence today’s result. Still, that should not dissuade anyone who hasn’t seen the film to see it. It’s depiction of social awkwardness at adolescence is one of the most harrowingly real things you’ll ever see. For those fretting over the change that now includes streaming services and superhero movies rest easy. For as much as the Academy stepped forward embracing new things it also fell back into its traditional stance of rewarding biopics and historical dramas. Green Book, Bohemian Rhapsody and Vice all got nominated for a variety of awards (including the big one – Best Picture) in favor of sci-fi and horror standouts like Annihilation and Hereditary both of whom walked out with nothing). The term “oscar bait” is now well in the public consciousness, it has been deconstructed, parodied yet they still get rewarded annually . Clearly there is an audience for these traditional crowdpleasers within the voting pool and in the general audience itself and there is nothing wrong with taking enjoyment in such affair but one has to wonder if rewarding them year after year when they (like this year) have received mixed reviews short of more acclaimed genre movies is truly embracing what the best cinema has to offer. As much as the Oscars are a self congratulatory party for Hollywood to pat itself on the back – it is also a massive platform to showcase movies to a wider audience. Adhering to traditional tastes while certainly acceptable fails to demonstrate the variety that the movies have to offer. Film Twitter never wins because no matter the result Film Twitter is like the Hulk. Always angry. Pawel Pawlikowski joins the likes of famed auteur Krzysztof Kieslowski as one of the few Polish directors to ever be nominated for Best Director. Joining him is cinematographer Lukasz Zal whose intimate romance tale Cold War also sees a Foreign Language nod. This is perhaps the most pleasant surprises of the day as the film is justly rewarded for its gorgeous imagery juxtaposed in its self restricted 4:3 frame. 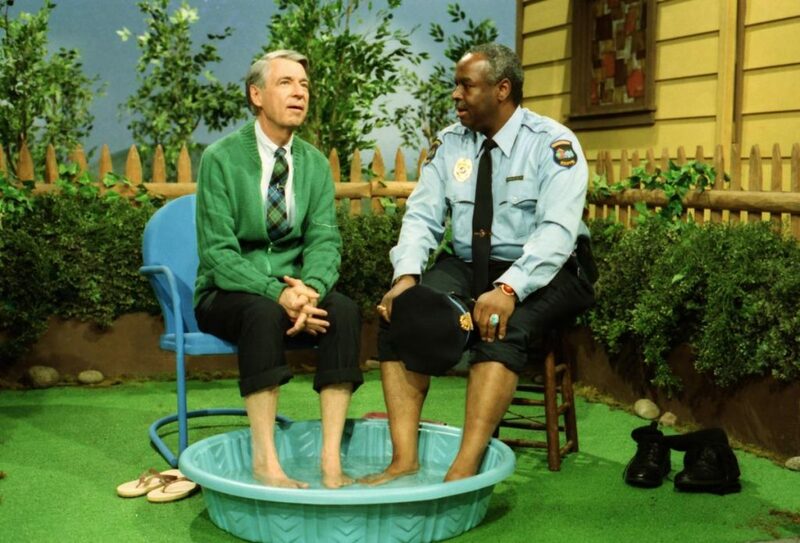 Going in it was known that the documentary and foreign language categories would be stacked but few would have expected the Mister Rogers documentary Won’t You Be My Neighbor? to fall short. The uplifting film promoting kindness and acceptance resonated with audiences everyone much in the same way Three Identical Strangers captured audiences with its alluring mystery. The other nominees including RBG, Minding The Gap and Free Solo are all well deserving. This was deep year for documentaries and unfortunately someone had to miss the cut. 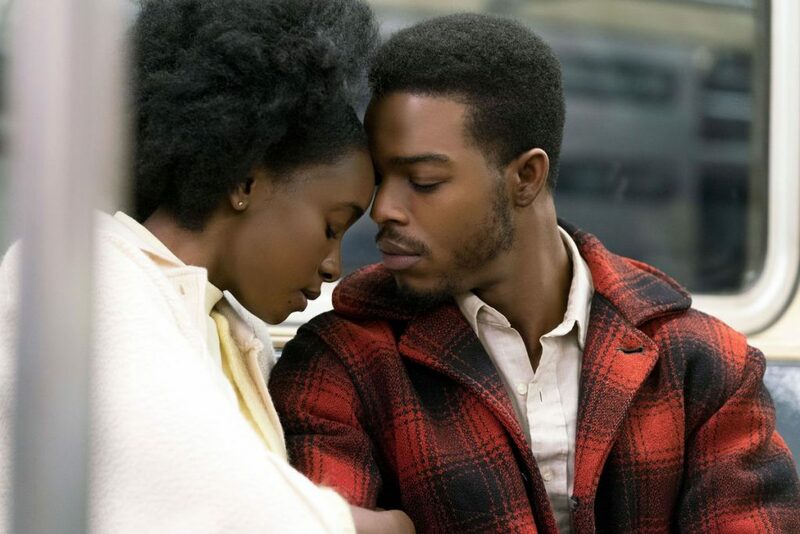 Nearly every race in the field is still open because nearly every candidate for Best Picture finds itself in varying degrees of controversy and divisive opinion. The easy route would be to just hand every award to Roma – the film is the closest thing the Academy has to a public consensus with even its harshest detractors acknowledging the film’s technical brilliance and the personal nature of Alfonso Cuaron’s story. However, the fact that it is a Netflix movie may sour on those who hold firm that the movies are a purely theatrical venture. In any case, this is as wide open a race as there has been in recent years. Buckle up folks because the death race is almost over.